At the D23 Expo last July Disney announced that a new TRON roller coaster would be coming to the Magic Kingdom. Many of us hoped that the attraction would be open for Magic Kingdom’s 50th Anniversary, with the recent filing of government paperwork we at least have somewhat of an idea when construction will likely begin. Back in November Environmental Resource permits were filed with the South Florida Water Management District. These permits gave an exact location for the TRON Lightcycle Power Run, though we had a pretty good idea when the attraction was announced at D23 Expo. The “Notices of Commencement Permits” don’t give a lot of details other than that we should see a groundbreaking soon and who will be managing the project. The permits filed with Orange County indicate that Disney hired a local construction company, The Whiting-Turner Contracting Company to oversee the construction project. According to sources, we should see ground clearing and site preparation in the coming months before the rainy season begins. Vertical construction is expected to begin before the end of the year. When this happens it is expected that the Walt Disney World Railroad will go down for an unknown amount of time while the TRON ride building is extended over the railroad. While it is thought that there will be a two-year build timeline, when we look at the construction of the TRON coaster at Shanghai it’s unclear how long construction will take for the project in Walt Disney World. For Shanghai the groundbreaking took place in 2011, but construction didn’t really take off until late 2013 and didn’t open for testing and guests until 2016. I was excited, as were others, when this attraction was announced at the D23 Expo. I’ve even more excited now that we know that permits have been filed and that groundbreaking is imminent and construction should be following hopefully shortly after that. 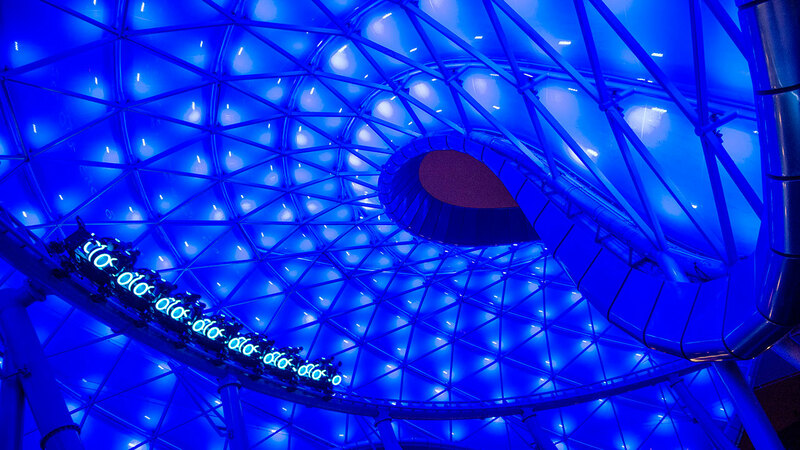 How excited are you about the new TRON Lightcycle Power Run attraction?